Its history dates back more than 2,000 years. It stretches approximately 4,000 miles and it took more than 1,800 years to build. We’re talking The Great Wall of China, one of the oldest and most famous structures in the world. A common misconception about the wall is that it’s one single, enormously long structure. The reality is that it’s a collection of many walls, some of which run parallel to one another, with a total length of more than 20,000 kilometers. 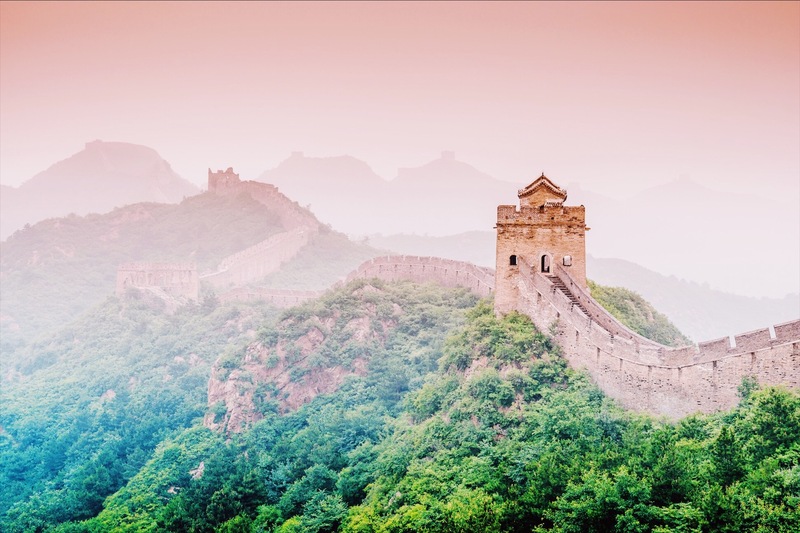 Built between the 3rd century BC and the 17th century AD by different Chinese dynasties, the purpose of the Great Wall was both to protect China from outside aggression and preserve its culture and customs. More fascinating facts about the wall? It was built using materials that included stone and a mortar mixture made with rice that added a sticky factor along with strength and endurance. Convicted criminals were a big source of labor on the wall which was dangerous, costing the lives of half a million workers. What else? The Great Wall of China is a name used by Americans, the British, French, and Germans. Much of the rest of the world refers to it as The Chinese Wall, and China simply calls it what it is: Long Wall.